This article is about guest star. For other Tom Bradys, see Tom Brady. This article is about the guest star. For the character, see Tom Brady (character). 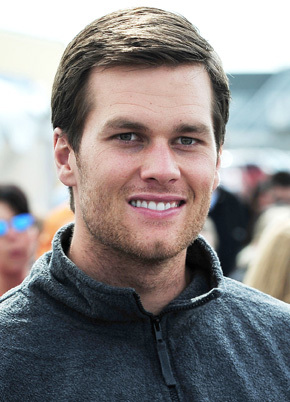 Thomas Edward Patrick "Tom" Brady, Jr. (born August 3, 1977) is an American football quarterback. He voiced himself in the season 16 episode "Homer and Ned's Hail Mary Pass". Modified on September 12, 2014, at 09:51.